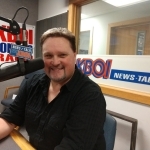 Boise (670 KBOI News) – Across the nation, we hear stories of political incivility…but that’s in other cities, right? It happened Sunday on the Idaho Capitol steps, at a Republican get out the vote rally. Pam Hemphill was videoing the Red Wave Rally, when three protesters showed up and began arguing with ralliers. At one point, Hemphill says a woman got agitated and threw a punch or slap. That woman, Samantha Lowman, ran off, but was later arrested and charged with misdemeanor battery. Click here to see the video. The battery happens at the 13:50 mark…be advised, the language is very graphic.